This lovely addition brought in lots of light to a darkened patio off a narrow kitchen. 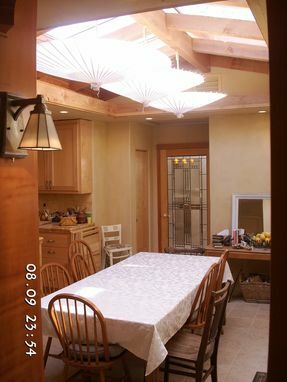 The 9' X 12' Ridge Skylight drenches the dining table in light (defused currently by the paper parasols). 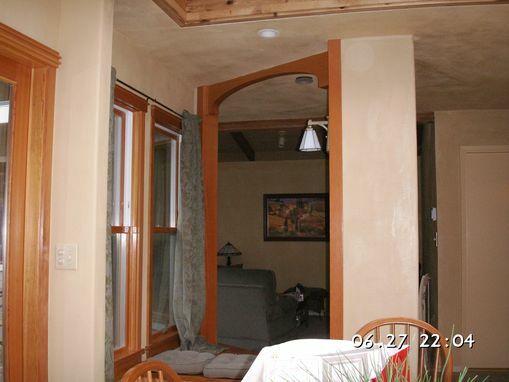 Earth Clay plaster dresses the walls with a tough, totally non toxic clay plaster. 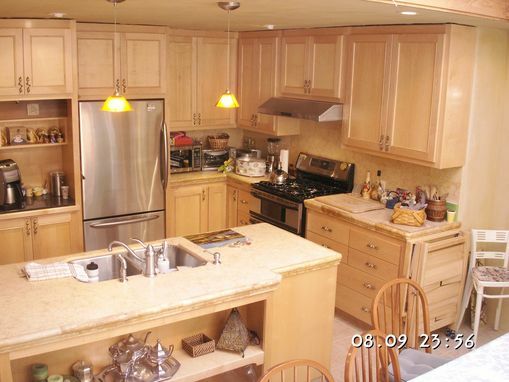 The book matched ply panels in the cabinet doors added a subtle pattern. 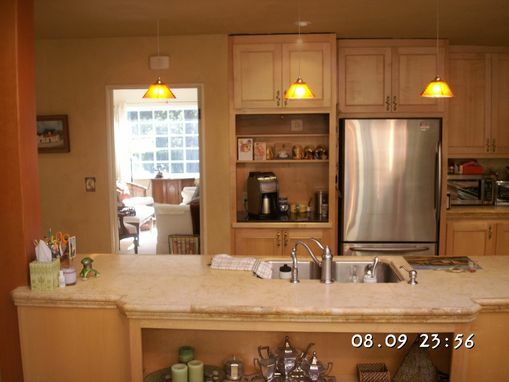 Travertine counters added a warmth and durability at a reasonable expense. Great light, air flow through ventilators high in the vaulted dining ceiling kept the air fresh. Heating from EHeat panels. Water heater: An on demand by Takagi (reduced the water heating cost by 45%). Dimensions: 550 Square feet overall.